It’s the perfect time to say cheers to good friends, great style, and long summer nights with the best frozen drink of the season. We’re talking about frosé—that ice cold, delicious pink concoction that was simply made for roof deck and patio season. 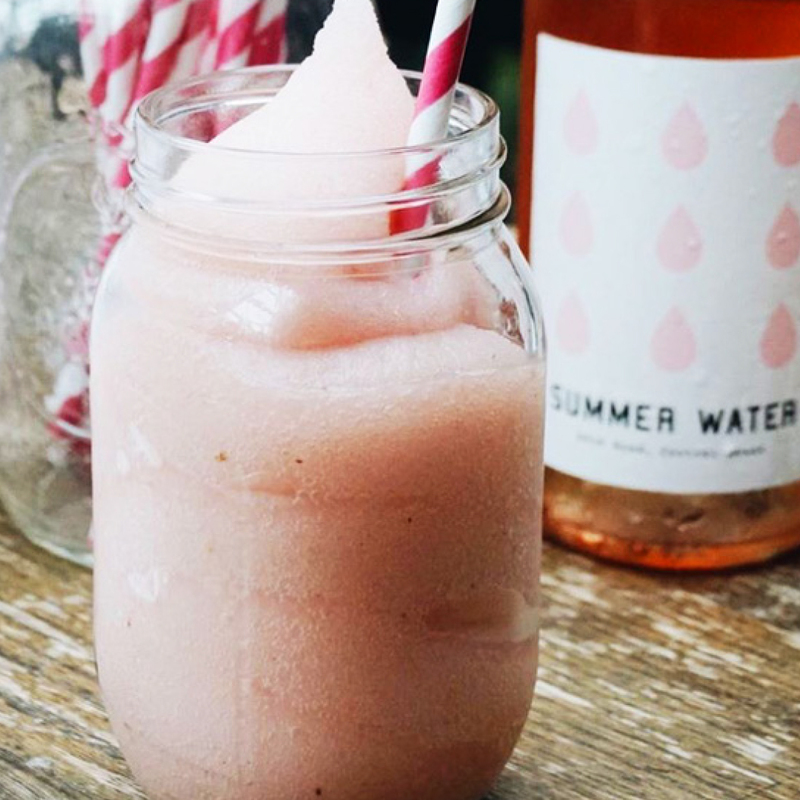 Whether you’re hosting friends for a party or looking to treat yourself on a hot summer day, our friends at Winc have crafted the ultimate frosé recipe using light and crisp Summer Water Rosé. Packed with fresh fruit and sweetened with agave, you may just want to go ahead and make a double batch. Trust us, it goes fast (we speak from experience). 1) Freeze bottle of rosé in ice cube trays overnight. 2) Bring agave and 1/2 cup water to a boil in a medium saucepan; cook, stirring constantly, until agave blends, about 3 minutes. Add strawberries, remove from heat, and let sit 30 minutes to infuse syrup with strawberry avor. Strain through a ne-mesh sieve into a small bowl (do not press on solids); cover and let cool. 3) Place rosé-ice-cubes into a blender. Add lemon juice, 3 1/2 oz strawberry syrup and purée until slushy. Pour it in a glass and enjoy! Ready to try is for yourself? Get two bottles on the house by visiting trywinc.com/trunkclubrose. Brought to you by licensed winery Winc, Summer Water is more than the rosé of the season, it’s a state of mind—every drop full of pink-hued possibility. Perfectly crisp and destined for a good time, this Central Coast Grenache and Syrah blend is synonymous with the light-hearted spirit of summertime. Summer Water has developed a cult following among influencers and casual drinkers alike, and is available through Winc's subscription service and in premium retailers and restaurants nationwide. The only thing better than sipping frosé with friends is doing so in style. 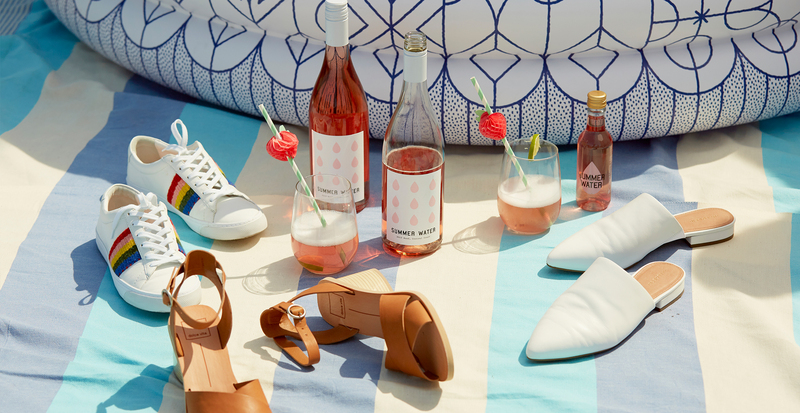 We’re celebrating the season with Winc by pairing their Summer Water with some of our favorite summer outfits. Get your summer style inspo by checking out our Style Guide for Summer Get-Togethers. Winc launched in 2012 with one goal: make discovering great wine easy. With hundreds of thousands of members in its online wine subscription service, Winc has extraordinary access to consumer tastes and trends. These insights shape the development of iconic brands like Summer Water, the viral hit embodying the rosé state of mind, and Folly of the Beast, the supremely accessible pinot noir of uncompromising quality. Today, Winc is the fastest growing U.S. wine company, offering more than 100 wines and reinventing the $55B U.S. wine industry. In addition to its online subscription service, Winc’s sought-after brands are available in progressive restaurants and premium retailers nationwide. Winc is based in LA’s Silicon Beach. Learn more at winc.com.